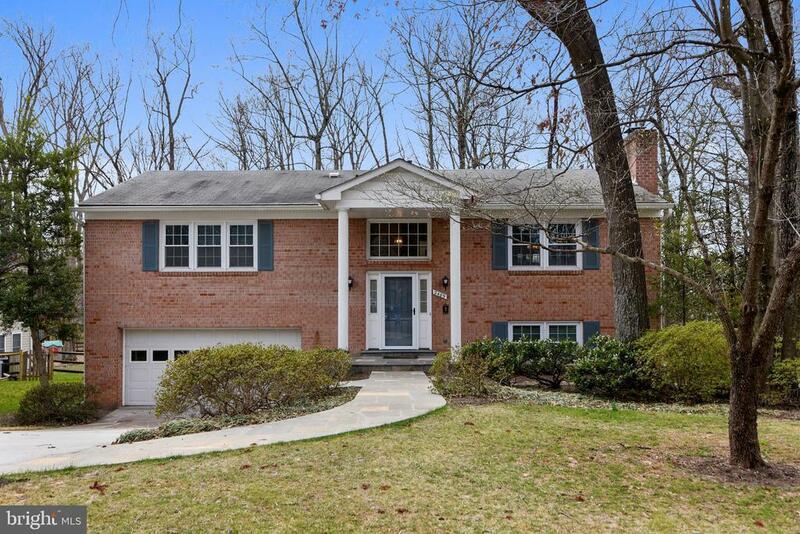 Gorgeous all brick SFH meticulously maintained by original owners. 4 spacious bedrooms, 3 beautifully renovated bathrooms (the master was completed 3/2019), oversized 2-car Garage (the owner is a collector and has fit THREE cars in here! ), .38 Acres backing to woods! Kitchen boasts brand new granite countertops and SS appls. Gleaming Hardwood floors throughout main level.~ Brand New Roof to be installed 4/22!!! Windows have been replaced adorned with 2" wood blinds, as well as the SGD to huge deck overlooking trees and big yard. (The deck was replaced in 2007 and power washed and sealed every other year since!) New slate walk-way, retaining wall, front porch, front door, new interior doors, new Furnace. Its a BEAUTY! Directions: From Tysons: 267W to Reston Pkwy South, Right on Oslo, Left on Freetown to 2489 on Left.